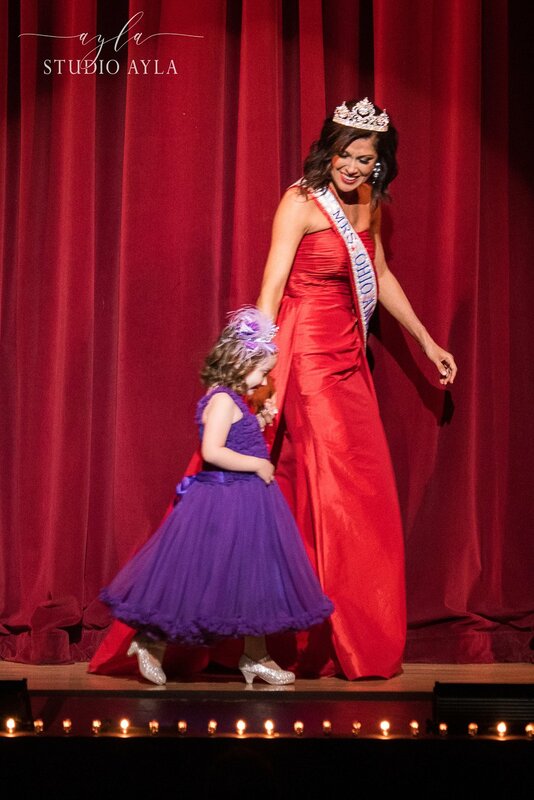 Mrs. Ohio 2016, Heather Fronk, with a special guest. As Ohio wives and mothers, we strive to make little girls across the state feel like the special princesses that they are. Mrs. Ohio America is rich in history, sisterhood, and service. As part of our competition, we strive to raise funds for philanthropic organizations. Each year, we support our official Mrs. America charity, Victoria's Voice. Additionally, we support various local charities the benefit women and children throughout the year. In addition to Victoria's Voice, we have chosen one of our favorite charities, NC4K, as a recipient of our fabulous face donations!! NC4K supports children and families affected by pediatric cancer. Please consider donating! To donate, you "vote" for your favorite face for Mrs. Ohio 2018. The winner of the fabulous face contest will receive a spot in the top 5 at the pageant! Votes are $2.00 each, and you can vote as many times as you would like. In the box, just state the amount you would like to donate. ALL PROCEEDS from donations will go to one of these two charities. This is your time to vote your favorite Mrs. into the final 5!